Boat Fishing With Allan Yates The most significant change in Sea Angling history – A 3 Bass daily limit – NOW with added MLS! One of the biggest ever shore caught fish to be caught in England, was landed last night by Guy Spriggs from Chesil Beach. 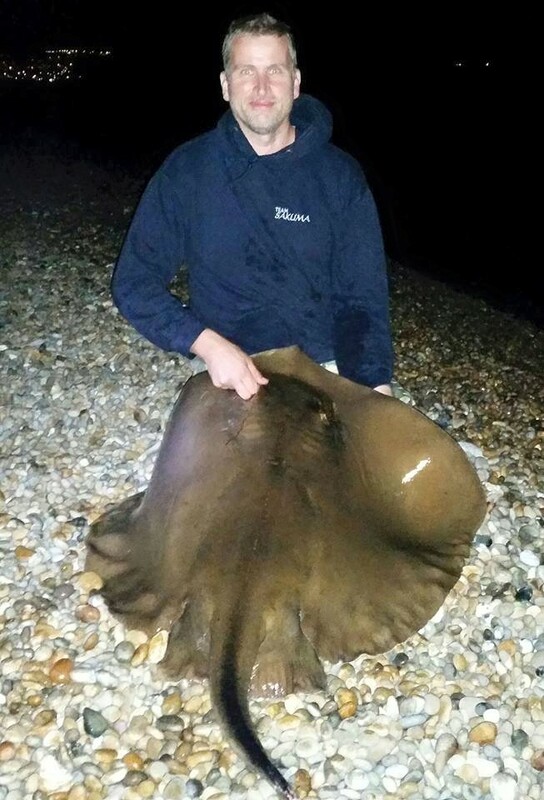 Guy who lives in Barnstable, Devon fished the Portland end of Chesil beach in search of Ray. 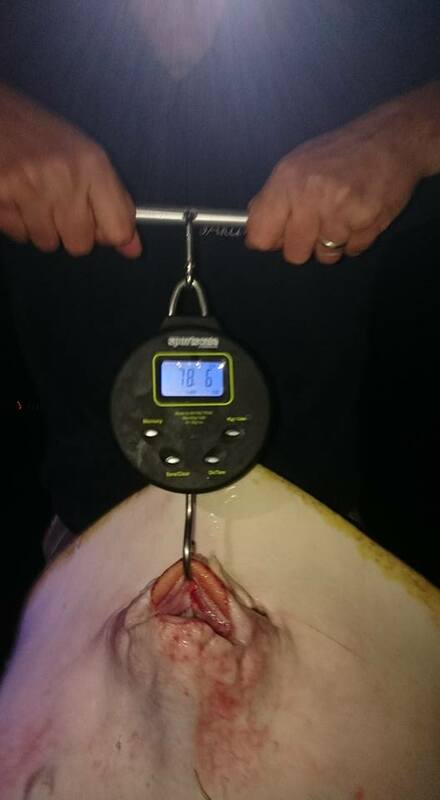 He certainly found a Ray; weighing 78.6lb, this smashes the current record of 67lb 12oz. Guy was fishing for Undulates using a large Bluey and a Squid as a bait. They say big baits catch big fish, and this proves that. One of my friends, Demetri Loukanaris from Gloucester, was down for the start of a week long fishing session, when Guy’s son came running over asking him if he would help land a big Ray. I am pretty sure neither of them were expecting to see such a huge fish. Thankfully Demetri got in the water and helped him land the record breaking fish. Like many anglers these days, Guy was more interested in the welfare of the fish, than claiming the glory of a British record at the expense of killing such a fine specimen. I lost a rod and reel earlier in the year, when I had it pulled straight out of the rod rest. At the time I thought that there were very few fish that could have taken my rod so violently. One was a Tope and the other a Stingray. I dismissed the possibility of it being a Stingray, as we never get Stingrays on Chesil. Never say never! Catching a special fish is an amazing feeling. Catching something like that is extra special. Well done Guy. 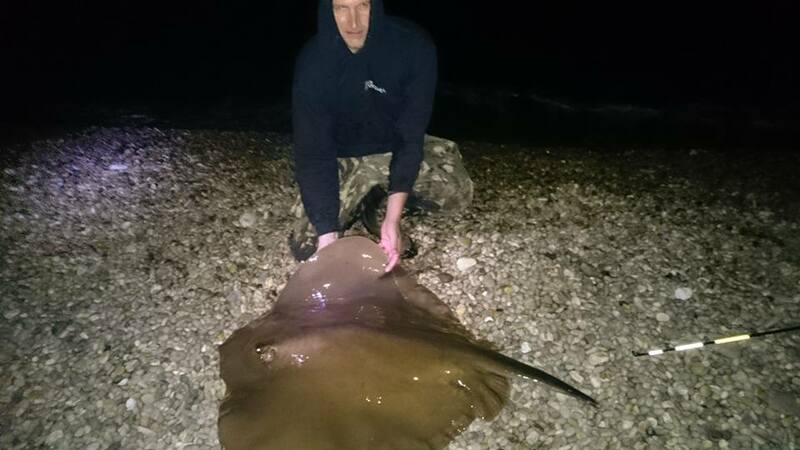 4 Responses to "British Record Stingray caught and released on Chesil"
well done and very well done for not killing it and returning the beast. Well done what a catch I’m sure you will not be forgetting this for a long long time, just interested to know how long the fight was?